The First ACP Women's World Rapid Chess Cup is over and now I have some time to tell you more about this interesting event. 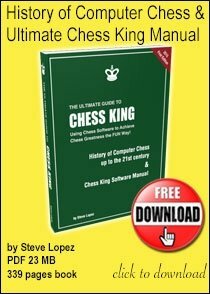 As you may know the ACP (the Association of Chess Professionals) holds the ACP men and women chess tournament series. 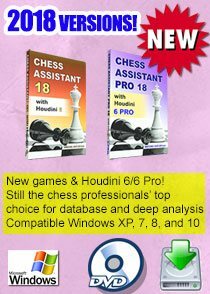 That means that almost all important chess tournaments are taken into account and the winners of these events get points which are later used to determine the top players of the year. 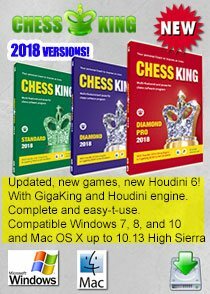 Some time ago I made a post about the winners of the 2008/09 women's chess series. The top 8 ladies were invited to take part in the first ACP women's world rapid chess cup, together with 3 local players and one ACP nominee. Natalia Pogonina who recently gave birth to a son decided not to take part in this competition and was replaced by Monica Socko. We played on the 1st, 2nd and 3rd of December. The time control of the tournament was 20 min + 5 sec per game. There were 4 rounds on the first day which I started very well and won each game. Four more rounds on the second day which happened to be the most difficult day for me in the competition as I lost my only game in the tournament to my compatriot Tatiana Kosintseva and was very close to losing to Pia Cramling. We finally played 3 more games on the last day. All the regulations of the tournament, together with the final cross-table, perfomance of the participants and photos of the organizers can be found on the official web-site. I won this tournament with the impressive result of 10 out of 11 and my rating perfomance was 2746! 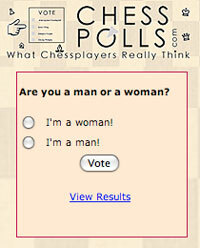 Here are my chess impressions of the tournament. As I posted after the first day I started the tournament with 4 out of 4 with wins in a pretty convincing style over Monica Socko, Natalia Zhukova, the local Turkish girl Menzi Ezgi and Nadezhda Kosintseva. Especially I liked my game against Nadezhda Kosintseva where after a mistake from Nadezhda I managed to find the most precise way to finish the game. After Black's mistake on the 16th move Ne7? 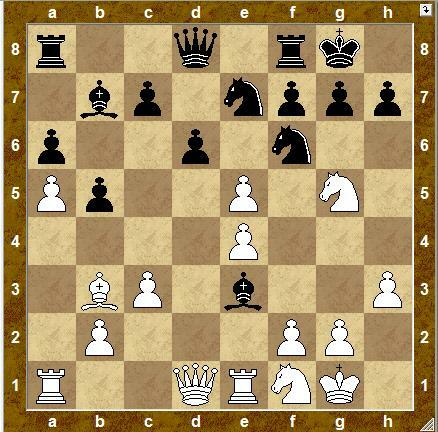 I played 17. dxe5 and after Bxe3 we reached the following position. Before playing dxe5 I was planning to play here 18. Nxf7? with the idea after Rxf7? 19. Bxf7 Kxf7 to play 20. exf6! and get a winning position similar to the one that I got in the game. But when I was calculating this variation I suddenly noticed that after 18. 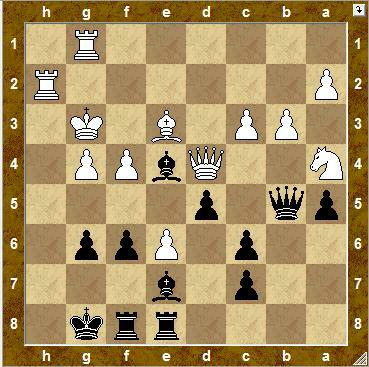 Nxf7 Black has the very strong intermediate move 18. ... Bxf2+! and after 19. Kxf2 Nxe4+! and it's White who needs to think about equality here. 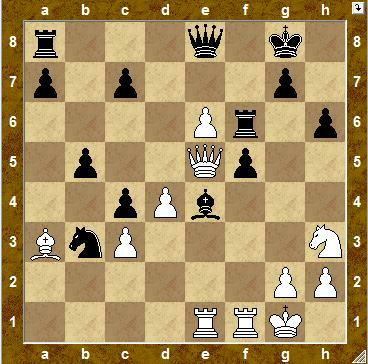 That's why I found another move to continue the game with and this move is 18. Bxf7+! and after 18. ... Rxf7 19. Nxf7 I won in convincing style. During the third round a very interesting endgame arose in the game between Pia Cramling and Ozturk Kubra. Pia is playing with white and despite being a Rook up White is not able to win the game. The game continued for quite a while but at the end White had to agree that it's a draw. The last game to finish on the first day was the encounter between Viktorija Cmilyte and Tatiana Kosintseva. The last 25 moves were played with seconds on the clock for both players but nevertheless both players played pretty well. At the end Viktorija was more precise and won this exciting game. The position before the 28th move of White. White played 28. Rxe4!? The second day started pretty badly for me. I lost to Tatiana Kosintseva, by overlooking a very nice combination. I just played 26. ... Rae8? (26...g5 was better) and Tatiana found a nice way to finish the game 27. Qxe4! 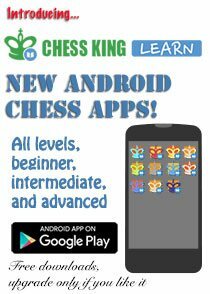 it turns out that I will be checkmated after dxe4 28. c4! Qb4 29. 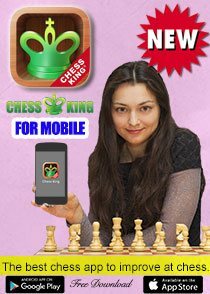 Rgh1 and I can defend from checkmate only by giving away my Queen. That's why I didn't take the Queen on e4 and tried to complicate the game after 27. ... f5 but I don't have enough compensation and soon I needed to resign. But Viktorija Cmilyte with whom I was sharing the first place after the first day also lost the 5th game to Pia Cramling, so after the 5th rounds there were 4 players (me, Cmilyte, T. Kosintseva and M. Socko) with 5 out of 6. In the 6th round I got lucky since Pia in our game forfeited on time in a won position. After lunch we continued the second day. I could manage all the worries after the rather shaky morning's games and won two games pretty easily. Here is one more nice small combination by Tatiana Kosintseva against Menzi Ezgi. 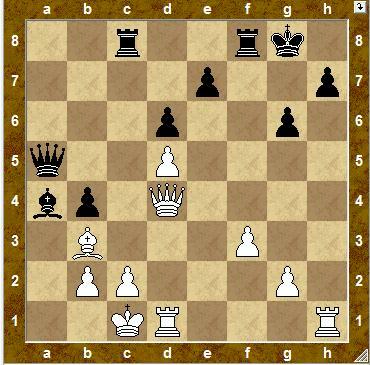 It's White to move, try to find the best continuation for White. In the 8th round Tatiana met her sister Nadezhda and as usual they agreed on a draw while I won my game and so after the second day I was leading alone with 7 out of 8. In the 9th and 10th rounds I won two games. While my followers were losing points in their direct encounters. This is the game between Tatiana Kosintseva and Monica Socko. 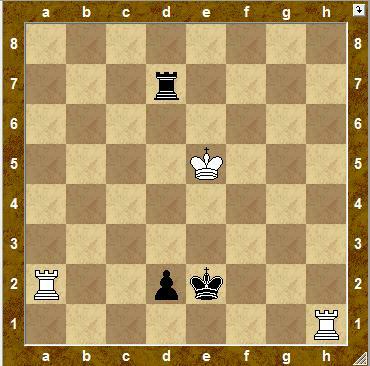 It's Black to move. 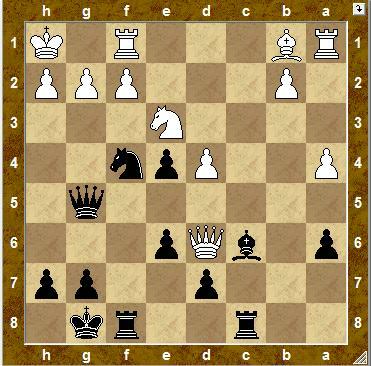 Try to find the best move for Black. In the last round I was playing against Cmilyte. I was in a pretty comfortable tournament situation. I had 9 out of 10 and she was following me with 8 out of 10. So she needed to win in order to play the tie-break for the first place. After the opening I got a very good position and had a tremendous time advantage but at some point lost concentration and gave my opponent some counter-chances which she could have used at one point. But all is well that ends well and I managed to win this game and took 10 out of 11. After the end of the tournament the organizers created for us a short touristic trip to the center of Konya. 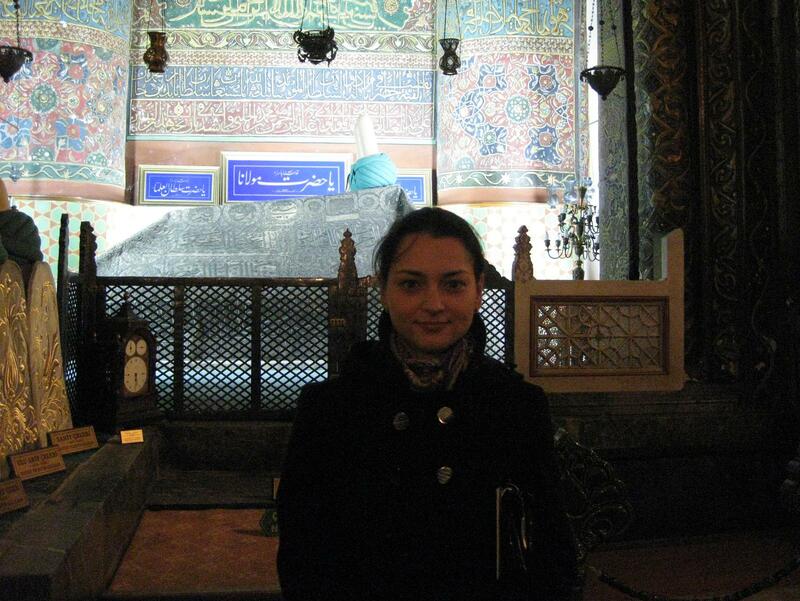 Konya is a city in the Central Anatolia Region of Turkey. 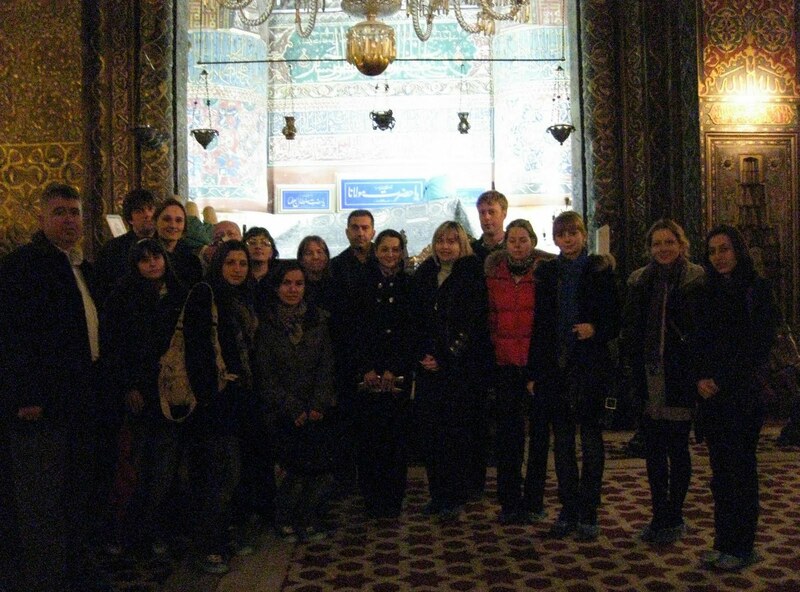 It is the capital of the Konya Province, and had a city population of 980,973 in 2008. Konya has the reputation of being one of the more religiously conservative metropolitan centers in Turkey. We had time to visit the Mevlana Museum which is the mausoleum of Jalal ad-Din Muhammad Rumi, a Sufi mystic also known as Mevlâna or Rumi and even got a permission to take some photos inside this building. Immediately after the visit to the historical part of Konya we got back to the wonderful 5-stars hotel Rixos Konya where we were staying and had the closing ceremony. I got the gold medal and a very nice cup. The second place with 8 points out of 10 was awarded to Viktorija Cmilyte and the bronze went to Tatiana Kosintseva who finished the tournament with 7.5 out of 11. From left to right: Ali Yazici, Tatiana Kosintseva, Viktorija Cmilyte and Alexandra Kosteniuk. At the end of this post I'd like to thank the organizers of the event, the Turkish Chess Federation and its President Mr. Ali Yazici for making this final tournament of the ACP women's series 2008/09 possible and I'm sure we will meet many more times in Turkey in the future! Thank you and see you next year, Turkey! All the participants and the organizers of the first ACP Women's World Rapid Chess Cup. 9 of 10 is a fantastic result. 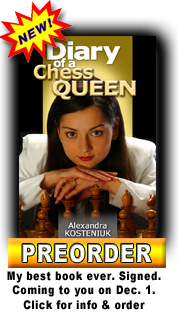 You added an another jewel to Chessqueen crown. I guess your Moscow experience has helped you a lot. Your ELO performance is telling the truth... :-) And it seems for me that 20m + 5s suit you, Alexandra, better than 3m + 1s. A really interesting tournament and thank you for your very complete narration. Congratulations again. And it was 10 out of 11, in fact. Pity that my compatriot - Monika wasn't on the podium. personally i liked the very interesting response to the face the spanish classic variation after 6...Bc5... congratulations!